Last Saturday, in a veritable snow storm, Sara Zarr, Ann Cannon and Carla Morris came for a holiday signing here at Sam Weller's Bookstore. Many of you may not know the talent at large here in Utah! All three of these authors are successful in both young adult and juvenile genres. We had a good time, talking books, drinking the little-bit-watery hot chocolate and enjoying the folks that stopped by to get a book or two signed. It is not too late to come down and buy their books before Christmas. We have their three latest titles in stock, and signed copies are still available! 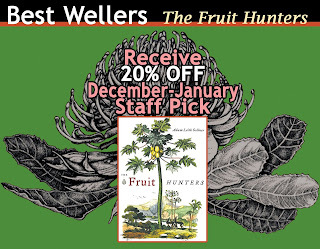 The WellerWorld staff have picked Adam Leith Gollner's book, The Fruit Hunters as its Best Wellers selection for December/January. This resulted in a lot of people thinking and talking about fruit. Because really, if you can read this book without feeling hungry, you're probably close to death. It is a tour de force of the fruit world: from biology to economics to descriptions of some of the most amazing edibles in nature (fruits that look like female buttocks anyone?) including the durian. Gollner introduces the reader to the fruit by describing a durian tasting party at an apartment in New York City. It was so smelly that the apartment building was evacuated due to a suspected gas leak. The odor was the durian, a fruit so odiferous that it is banned in public places in several countries. Despite the fruit's odor, durian devotees are rapturous about its texture and taste which is described as custard-like with hints of banana, vanilla, nuts and garlic. So when a Weller's staffer offered to procure a durian for us, fellow staffer John Clukey and I were excited. Who wouldn't be? When the durian arrived, it was fearsome. The thing was about the size and shape of a football and covered with spines. And it smelled. A lot. Like putrefaction. The warmer it got, the smellier it got. Somehow it ended up abandoned; stinking on my desk. So I did the logical thing: I took it to the sales floor and put it on the display table for Fruit Hunters. The staffer working the info desk near the display had a cold so he didn't complain. What the customers thought I'll never know because they were too polite to say anything. We took the durian outside to the alley behind the bookstore when it was time to sample it. John and I w ere equipped with a cutting board, a large knife and a lot of paper towels from home. I brought an entire roll because the idea of eating the durian had become so daunting that I decided it would be horribly messy despite the fact that no one had described it as juicy. I was so intimidated by the thing that I handed John my knife. No way was I going to cut it. John traced a line along the outside and sawed in. When he parted the shell of the durian I exclaimed, "Oh my God! It looks like a symbiont!" We each grabbed a segment of the sybiont and bit in. The flesh was good, very good. It was indeed like custard, with a hint of sulfer. It was good enough that I ate two segments. John, far happier with the durian than I was, ate four segments while I went inside to get other staffers to join us. It was a party on the back curb with the same heady vibe that accompanies illicit activities in alleys all over the world. I was positively giddy. People were gasping and laughing with combined delight and repulsion. Some ate, some only watched. One suggested we'd all get food poisoning. For a moment I thought it was possible. But then I was overcome by that heady sense of encountering the unknown and feeling somehow changed, somehow richer for it. We didn't get poisoned. Many of us, however, suffered some pretty smelly after effects. What we all got was a culinary adventure that made for lively and engaging conversation for the rest of the day and into the next. Strangely, one hour on the back curb with a very stinky fruit made for a better team building exercise than nearly anything I could have procured from a high powered consultant. And it all started with a book. Holiday Message From Roy Blount Jr.
December 11, 2008. I've been talking to booksellers lately who report that times are hard. 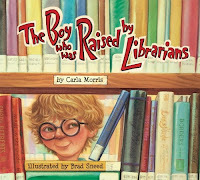 And local booksellers aren't known for vast reserves of capital, so a serious dip in sales can be devastating. 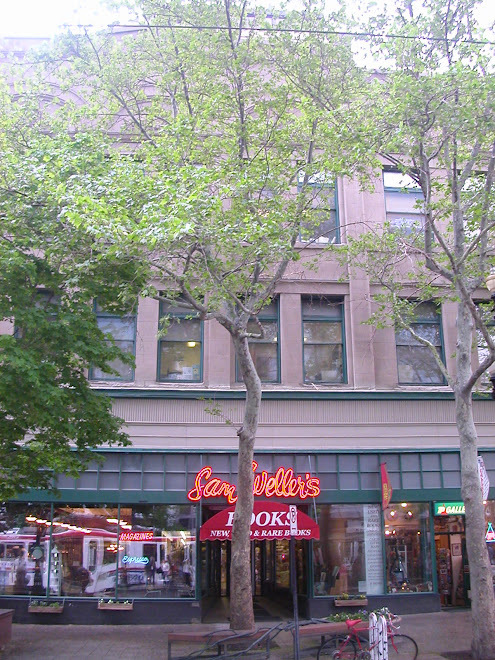 Booksellers don't lose enough money, however, to receive congressional attention. A government bailout isn't in the cards. 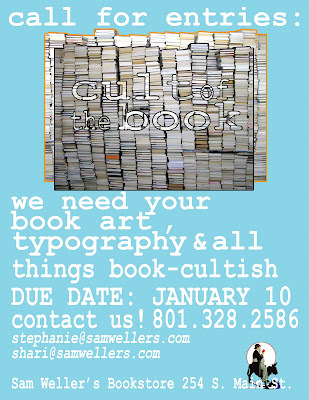 Labels: Authors Guild, bookselling, Roy Blount Jr.
For our next art show in january, we will be indulging in an entirely book-centric theme, featuring all types of book art, typography and word art, anything that rings with the cult of the book. we want your work! Joyce Carol Oates is one of the most prolific writers out there, with this said, I have never actually read one of her books because I didn’t know where to start. I bought a copy of “The Assignation”, a collection of short stories. I read a few of those, which were great, and came across possibly the most influential book I have ever read, “The Faith of a Writer”. This book is a collection of essays about the process of writing, the craft of writing, her childhood, inspiration, advice to young writers, and so much more. From the moment I opened to the first page and began reading, I’ve loved every word, sentence, paragraph, essay, every syllable, and every insight. To anyone who loves to write, I recommend this book with the highest praise. Thank you, Joyce Carol Oates, for this amazing book. Buy Local First Week began November 29 and runs through December 6, 2008. During this week Utah Local First is encouraging consumers to support their local businesses and receive a discount for doing it. What could be better? You'll help support the businesses that keep your community a thriving and interesting place. Your sales tax dollars will support municipal services such as police, fire, and library services. And you'll get 10% off your purchase from participating retailers to boot. Just follow this link http://www.localfirst.org/images/stories/blfcoupon08.pdf to download the coupon. Cloudberries, mangosteens, lychees, coco-de-mer, loquats, rambutans, breadfruits, peanut butter fruits, blackberry-jam fruits! This book made me hungry. After a trip to Brazil where he tasted exotic fruits at a roadside stand, Adam Leith Gollner became obsessed with fruits. He tells of his travels to taste exotic fruits of the world, from durians that smell so strongly his neighbors suspect a gas leak, to miracle fruits which make all sour foods taste sweet, to oranges that taste like chicken noodle soup. consumer awareness of other varieties is bringing better selection. A hit for fans of narrow histories with great details about the discovery and enjoyment of fruit.